For media enquiries please contact Mike Ward on our main office number 0203 752 4258. Do you offer free sessions? Upon your first contact I do provide a free confidential telephone consultation. I used to provide the assessment session as a free session, although not now. Within the first consultation I include many resources for my clients to begin using straight away. I think why have an assessment, and then wait another week for an appointment? Why not begin the changes you want straight away? Some issues can be dealt with within one session. How will I know which therapy approach is the best for me? That's a good question and it shows you are considering the qualities of each one. Upon our initial consultation I will provide information on how the different therapies are able to help you with the changes and support you want. This helps you to make an informed decision. If there is something specific from trauma and disturbing imagery then during assessment I will advise which therapy is most useful in that particular case. How do you get rid of anxiety? How do you get rid of anxiety? Hmmm, this is a really good question and I am asked this frequently. Well anxiety is not something you can get rid of, like you can with a cold for example. But good news, all is not lost! What happens over a course of therapy, or through using my top tips for anxiety, as a self help tool. You can begin to develop your awareness and understanding about what the triggers are, developing a different perception .With future events you are able to look at them differently and provide yourself with a more flexible and proactive approach. You will think differently about what is happening, having a greater sense of self control and to make different decisions compared to what you may have done before. Thus overall your approach will be different and more effective, giving yourself wider choices of behaviours and greater emotional managment of your responses. if you want to know more about anxiety, please give me a call. Do I lose control in hypnotherapy and will I say or do things I wouldn't normally do? The answer to this is NO and that you are in full control of every stage – whatever therapy approach we are using. Please feel free to have a look at my hypnotherapy page to see more detail on what happens. Have a listen to the relaxation and well-being download and you can hear an example of what I talk about in that particular session. Depending on the type of work we are doing they can last from 50 minutes up to an hour and a half. For example using EMDR, my initial consultation or assessment will take about an hour and a half and some NLP coaching sessions and hypnotherapy may be around the same time. It is very dependent on the approach I am using and the issue(s) that we are working with. Either way we would discuss this prior to your session. I have anxiety attacks, how many sessions will this take to get rid of? Another great question and I am asked this quite often. What is important is how motivated you are to succeed in the changes you want and your openness to engage with the interventions and resources that I provide. That said though, it is very different for each client, for some it has only taken 1 session, others 8 sessions. It is dependent on many factors and how engrained the contributing types of thinking are. Please have a look at my CBT page, which discusses the different types of thinking. Do you charge for you hypnotherapy CD's? To download it from the website, there is no charge, it is a free download with our compliments, please feel free to have a look at the download page. Many of our clients use the relaxation and confidence hypnosis CD to help them de-stress and relax both body and mind. Also, any psycho educational materials or hypnotherapy CD's produced for you during your therapy sessions are provided without additional charges. Do you offer long term therapy? Yes I do. 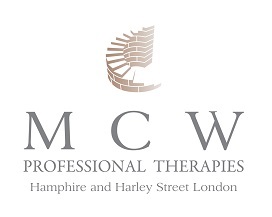 With any type of therapy I offer I always include a time for review, to check progress and to ensure that we are continuing to work towards your goal of therapy and adjusting our work accordingly.